Don't believe everything you read in the news! 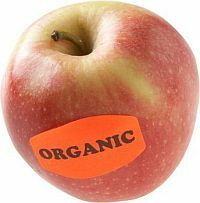 In response to a UK report about organic foods, the media came up with the headline “Organic has no health benefits.” This is an example of the irresponsible journalism that abounds with regard to science in general and the food industry in particular. If you read the article, you will find that this headline in no way represents the information in the article. The problem is that many people will only read the headline and miss the real information in the article. Even if you accept the premise of the report, that organic foods are nutritionally the same as conventionally produced foods, there is the larger issue of pesticides, hormones and cruel and unsafe farming practices that motivate people to buy organic. The upshot is that if we agree with the issue it’s based on “real science,” and if we disagree, it’s “junk science?” We are better than that! 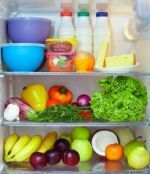 Here is a list of ways that you can minimize the amount of pesticide residue in the foods you and your family eat. -Buy foods that are certified organic, especially apples, bell peppers, celery, cherries, grapes, lettuce, nectarines, peaches, pears, potatoes, spinach and strawberries. -Buy produce at a local farmers’ market where you can inquire about pesticide use. -When you buy produce in the grocery store, select a variety and avoid fruits and vegetables with cuts or holes. -Wash fruits and vegetables with a food-grade veggie wash, scrubbing less tender varieties with a vegetable brush. Even if you are going to peel it, wash it first to avoid contamination of the inner flesh. -Peel fruits and vegetables when possible, but peel or scrape as thinly as possible to maintain the maximum nutrition you can. The downside of peeling foods with edible skins is that you lose nutrients such as fiber, vitamins and minerals. -Discard the outer leaves of lettuce and other leafy vegetables where most of the residue would be found. -Trim all of the visible fat from meats, since the residue will be concentrated in the fat of the animal. -Avoid or limit consumption of liver, which, although high in nutrients, is also the chemical plant of the body where toxins are stored. -Choose low-fat or fat free dairy products, since the fat is where the residue is mostly found. Click here to go from Organic Foods page to Food Supply page.